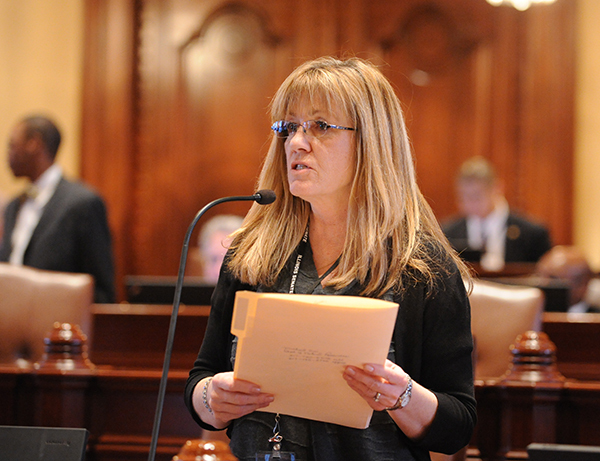 SPRINGFIELD - State Senator Melinda Bush (D-Grayslake) is working to combat one of the biggest threats to the Lake County community – increased heroin use by young adults. 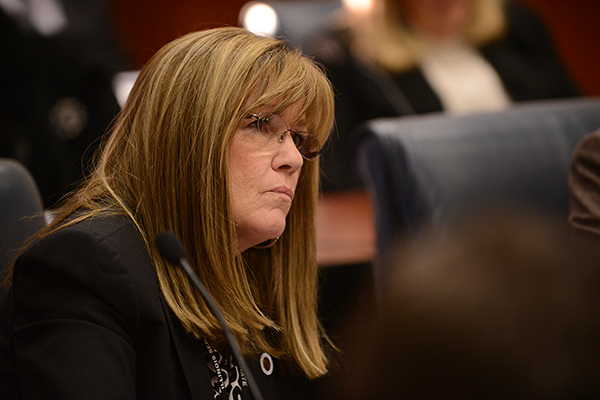 On Wednesday, she attended the first meeting of the Young Adult Heroin Use Task Force, a bipartisan group of General Assembly members and stakeholders who seek legislative solutions to a dangerous problem facing Illinois teens. SPRINGFIELD - The Senate passed legislation out of its chamber yesterday that would make it a felony to post sexually explicit videos or photos of another person, without their consent, to an Internet site. “For any individual to threaten another person in this way and intentionally cause such harm and distress is horrible,” Senator Bush said. 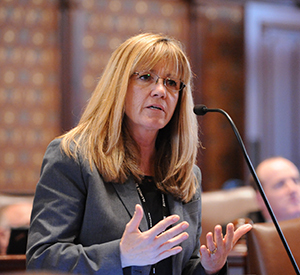 SPRINGFIELD - State Senator Melinda Bush (D-Grayslake) passed a proposal out of the Senate State Government Committee yesterday that seeks to improve business retention in Illinois counties that border other states. As a lifelong resident of a border community, Bush knows all too well about the business-poaching practices of the states surrounding Illinois. Her new bill will work to improve the economic conditions of Illinois border communities, keeping them competitive with the states that they border. “We need to review our policies to ensure the best possible outcomes for businesses retention in border communities,” said Senator Bush.